Alternate Pic View is a program that enables you to View image files and make some adjustments. It supports multiple formats, including BMP, JPG, PCX, TGA and WMF. The interface of the application is familiar and easy to work with. Images can be imported with the help of the file browser or 'drag and drop' method. So, you can use some basic editing tools, such as line, arrow, rectangle, freehand, fill, text and pen, along with the undo and redo functions. But you can also zoom in and out, switch to full screen mode, create a slideshow, enable thumbnail View mode, crop a selection and make Alternate Pic View retain the EXIF/IPTC information. Alternate Pic View allows you to apply several effects to the pictures; they revolve around rotation, mirror, flip, invert, sharpen, blur, contrast, brightness, pixelization, noise and red eye removal, just to name a few. 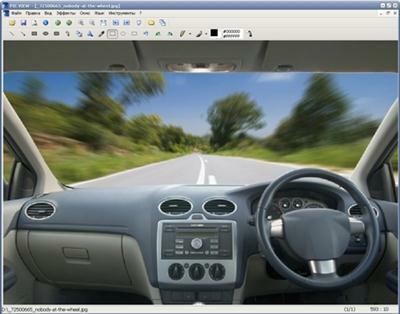 The graphic editing tool supports keyboard shortcuts and multiple languages for the interface, has a good response time and contains user documentation. We have not come across any issues throughout our testing; Alternate Pic View did not freeze, crash or pop up error dialogs throughout our testing. Thanks to its intuitive layout, less experienced users can easily find their way around this app.